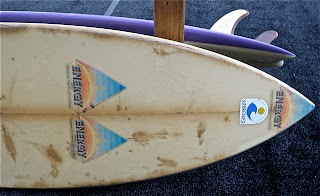 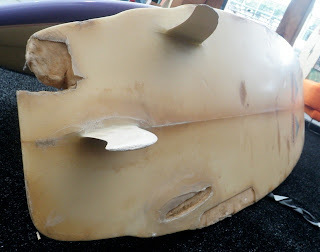 : Board Collector: Nectar Thruster- Part 7. 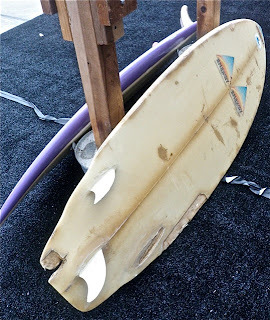 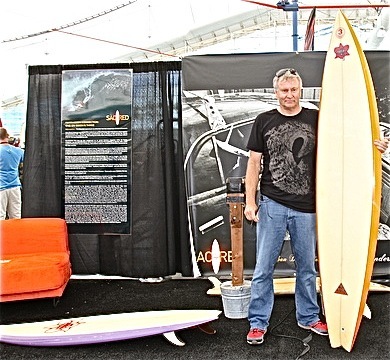 Simon Anderson had this beautiful, immaculate, original 80's, purple rail spray, US built, Gary McNabb shaped, Nectar on display at Sacred Craft to celebrate the 30th anniversary of the Thruster (3 fins of equal size) design. 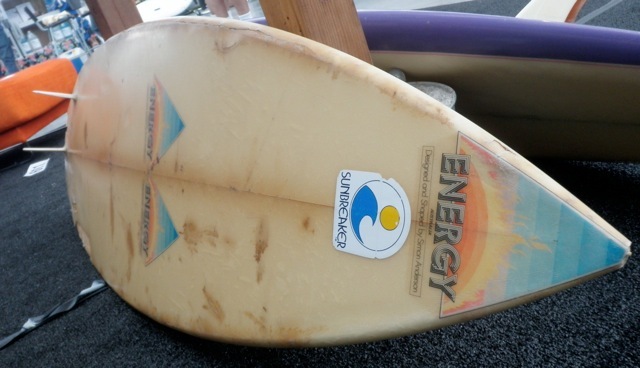 Here it is along side its Australian cousin, one of the first Energy thrusters ever made.